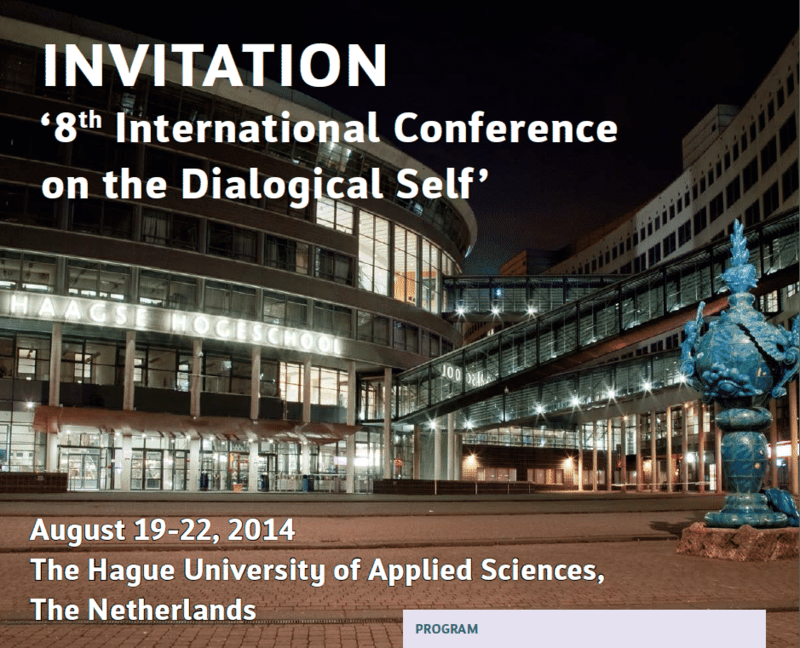 During the Dialogical Self Conference at the Hague University from 19 / 22 August Perspectivity organized two workshops this year, one about restorative circles and one about the Perspectivity Game and complexity thinking in practice. Although there were not many participants, we found in both workshops a good match with the theoretical background of the dialogical self theory. Central to this theory is the notion ‘I-positions’. Every human being has consciously and unconsciously many of them . In particular by intra – personal and inter- personal interaction these positions are formed and influenced . The estimates and assumptions that people use from the various I-positions sometimes collide when incompatible positions are confronted with each other in inner dialogue or in a group. From this confrontation , people are well able to change and learn, even though it does not always feel ‘ good ‘ . We have seen that again in our sessions . During the workshop, restorative circles were central in a situation with divorced parents and a teenage son. The mother (no role play) was relieved after this workshop and seemed to have exchanged some of her assumptions about the other for a more nuanced picture, by which she stood more open to find a good solution of the case . During Perspectivity Game we saw what social complexity can bring; Disappointment, hope, euphoria and more emotions followed each other in rapid succession . The self- confrontation and the group discussion afterwards made clear that having a dialogue is not easy to achieve. In short, a substantive success. For future use of Perspectivity at conferences which have a structure like this it is important to know in advance the number of participants in a workshop . The strength of our workshops is at its highest when we can well imitate social complexity. This requires a minimum number of participants . Another lesson learned! ← Perspectivity Game at the Living Wage Innovation Challenge.